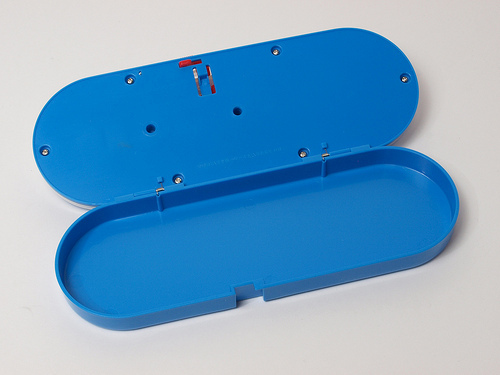 Today’s interesting stationery from B-LABO is a Doraemon pen case. This is something extra for a young children’s magazine. Doraemon is a very popurar manga character not only in Japan, but also in many other countries. 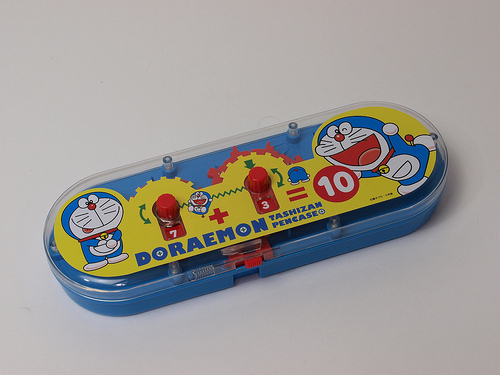 However, B-LABO picked up this pen case as a topic not only because Doraemon is kawaii (cute) and popular, but also for this item’s remarkable and clever functions! 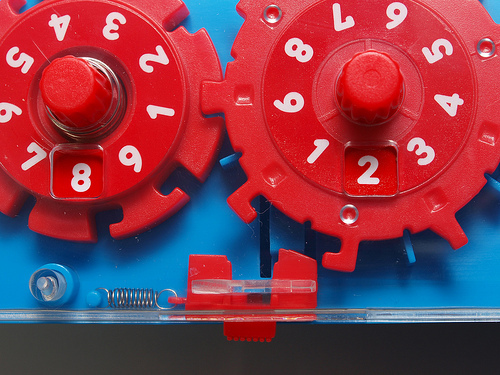 There are two dials on the top which can each be turned like a combination lock. To open the pen case, the sum of these two numbers should be ten. This is the inside of the lid (behind of Doraemon sticker). 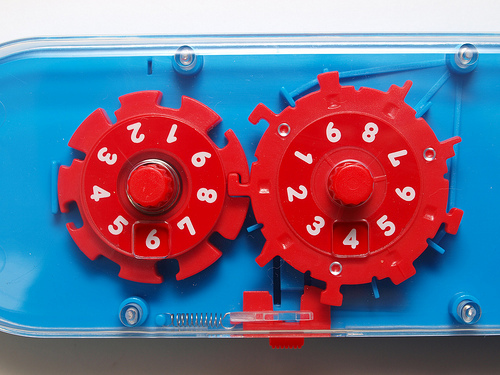 There are two different sized and gears with numbers. The shape of the gears is kind of complicated. The gears mesh only when the calculation is right. 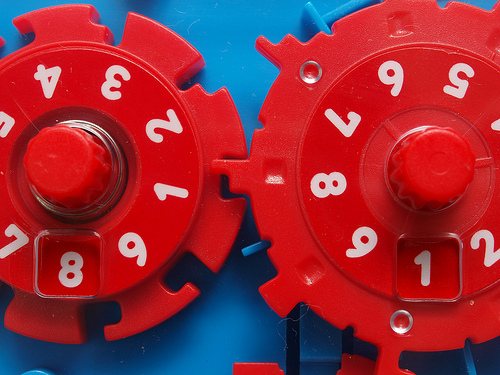 1 plus 8 is not 10, so the gears don’t interlock. The right big gear is placed a little higher than the left small one. Only when the gears bite, the right gear goes down and unlocks the lid. It may sound simple and easy, but it is actually very complicated because there are many incorrect (if the sum is not 10) combinations. When your combination is right, the top opens like this. The inside is very simple. In his manga series, the character Doraemon keeps many convenient gadgets from the future world in his pocket. 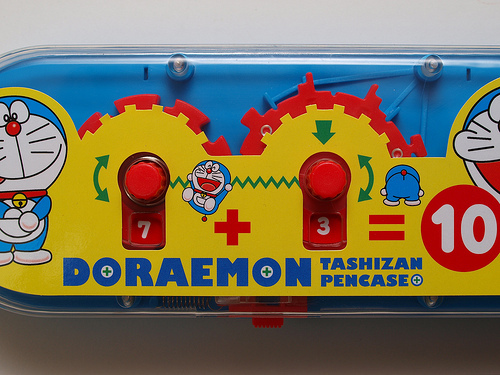 This pen case might just remind us of Doraemon’s amazing tools! Unique Ways to Enjoy Japanese Pot Noodles!